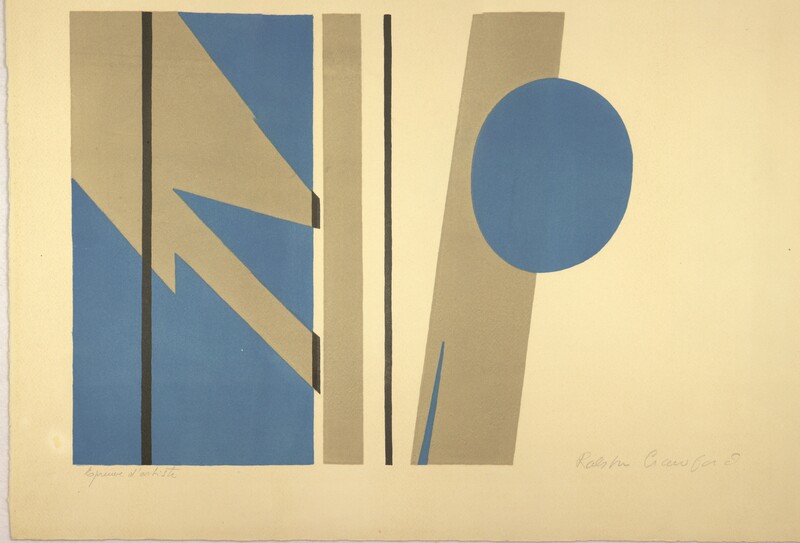 (blue) Color Lithograph, "Composition". 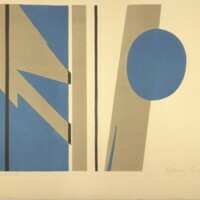 Abstract, shows blue circle with vertical lines/shapes. 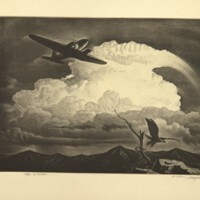 Crawford, Ralston, “Composition ,” Digital Exhibits, accessed April 19, 2019, https://cuexhibits.wrlc.org/items/show/113.